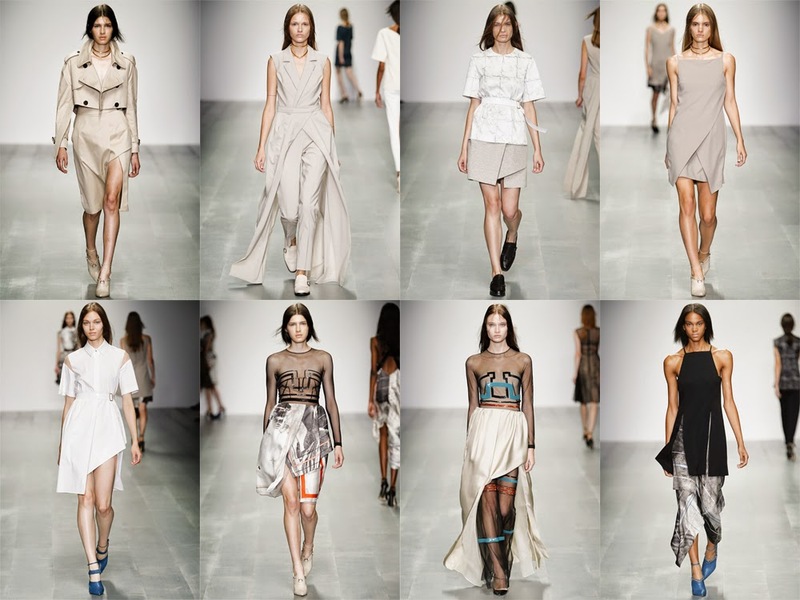 I had the pleasure of assisting at the Marios Schwab show held at the BFC Showspace on Sunday having previously interned with the designer back in May/June. It was great to have the chance to go back and help out at the show during London Fashion Week - my outfit is coming to the blog soon. The collection was full of clean cuts, folds and grids or as Vogue UK had put it; the three Fs: frames, facets and folds. Harsh folds contrasted with flowing skirts - creating the perfect sense of juxtaposition and sequinned graphic squares and grids brought a new lease of life to Schwab's signature embellished mesh evening gowns. The official BFC video is below or watch my own Instagram from the finale.